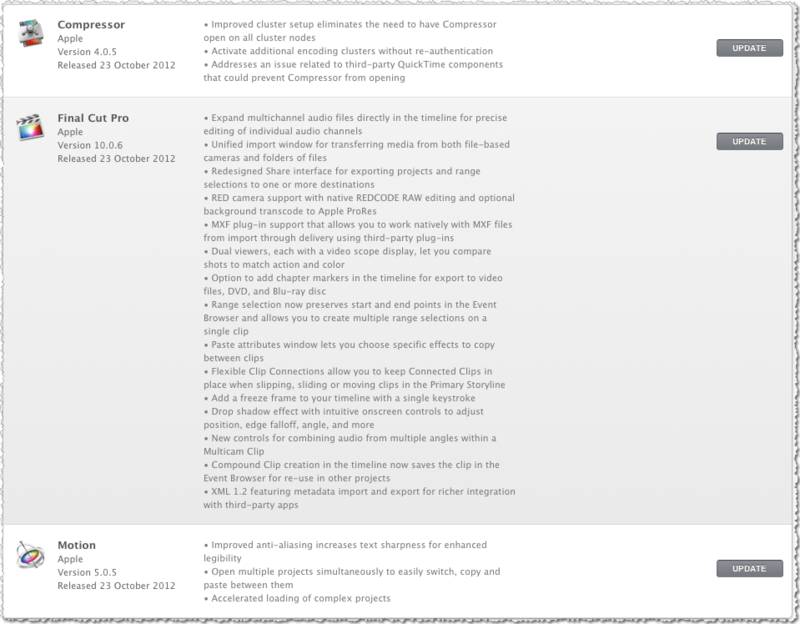 After a few months, Apple updated once again Final Cut Pro X to its 7th release and added some significant features. ability to precisely edit individual audio channels directly in the timeline. This update weight 1.53 GB and requires MacOS X 10.6.8 or later and it is a free download on the Mac Apple Store for current users. New customers can purchase Final Cut Pro X for $299.99. Motion gets updated to version 5.05 and Compressor to version 4.05. Both are minor updates and are free for current users. New users can get Motion & Compressor for $49.99 each on the Mac AppStore.